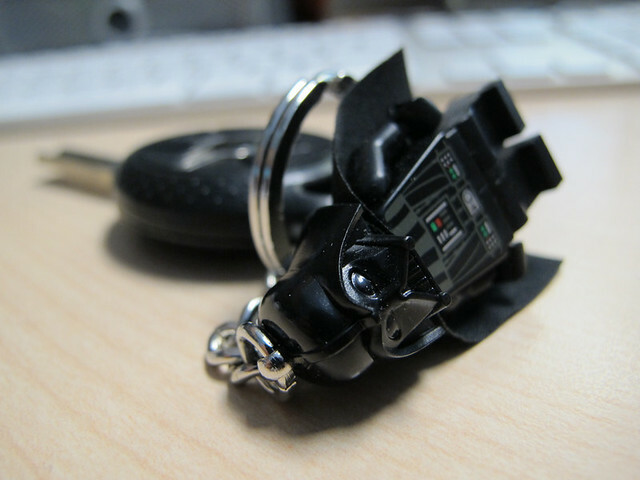 The collector in me has picked up a few, cool keychains over the years. 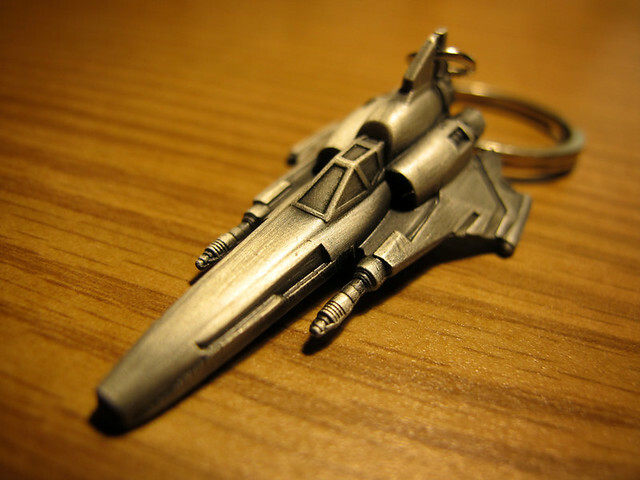 The most recent is the Battlestar Galactica Viper from QMX Online. 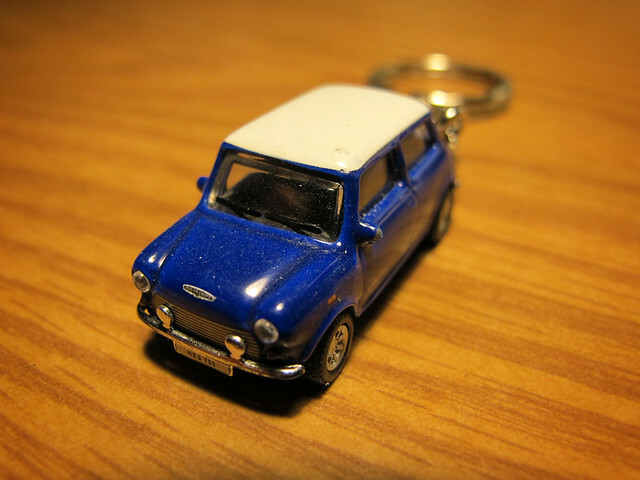 The Mini Cooper was actually gifted to me from a distant family member who picked it up on their European vacation. Unfortunately, I worry so much about damaging either one, that I don't use them as actual keychains. The Viper's guns (although cast in medal), look like they would pop off with the slightest nudge. The hole in the wing that connects to the keychain is right on the edge. One strong pull and that thing is lost. This has actually happened to me before with another trinket cast in medal. The Mini is no better. I actually tried using it, but within a week the paint started scratching off. All of the extra parts are too delicate as well. For now, I'll just stick with my LEGO Vader. Here he's new, but lately, he's getting some pretty good damage. I'm not as worried because he can be easily replaced.